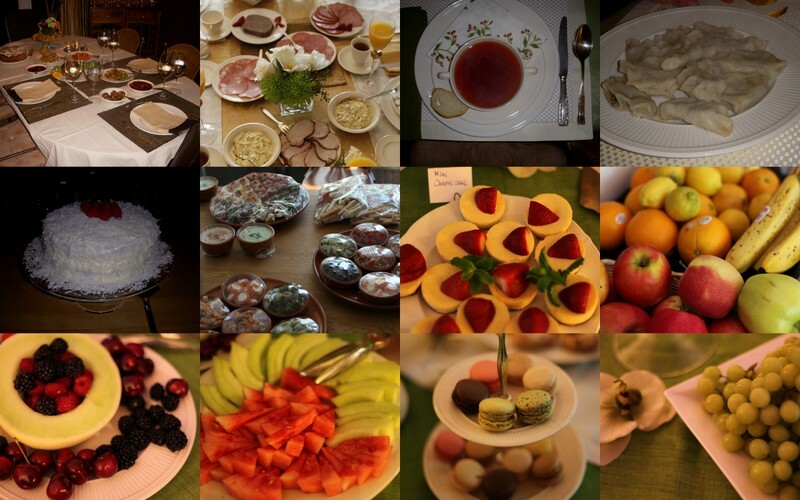 Today’s Culture with Travel post is by our founder, Nicolette Orlemans, who was invited to dinner by Lamano. For many of us living in New York City, figuring out what’s for dinner every evening isn’t always the easiest decision. With abundant choices and many types of cuisine to explore, sometimes it seems we may never cover all of the places the city has to offer. But, when it comes to Spanish tapas, trying a new spot is a no-brainer for me. When I was invited to dinner at Lamano, I was instantly drawn to its menu, photos of its interior, and the stories shared about the culinary passions of the owner and the chef. Having visited Spain numerous times many years ago, there’s something about tapas that makes these tiny bites irresistible to me. I picture the warm, bustling streets of Barcelona or Salamanca full of energy adorned with cafes serving tapas well into the evening. My connection to Spain and its cuisine is strong and reminds me of great travels from the past. 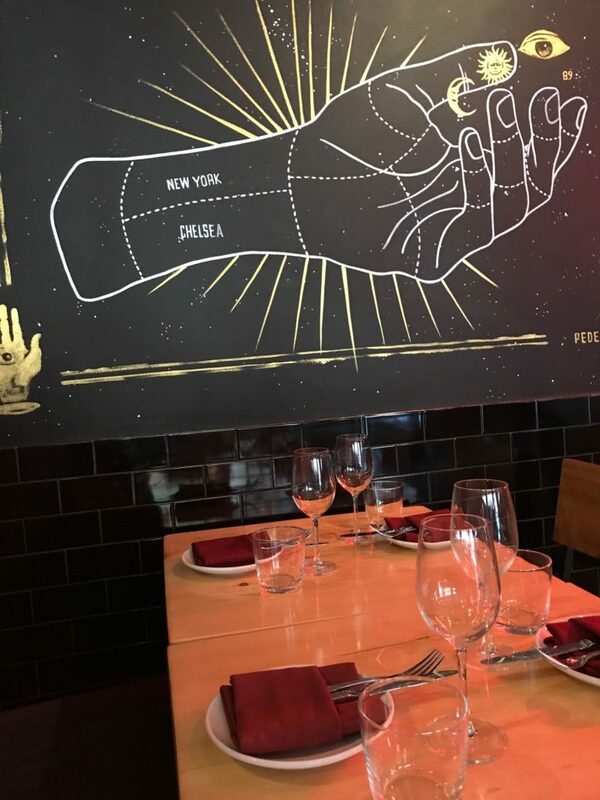 Stepping into Lamano in the West Village, my eye instantly catches the hand-painted map of Spain on the back wall, and a fun neon sign saying “Futuro” (future). The restaurant’s cozy ambiance with its modern, and warm, design invites you in for food, drinks, and good conversations. As we look at the menu, we’re sipping on refreshing sangria – a nice respite from the hot summer’s day in the city. While Lamano is centrally-located, it manages to stay quiet and secluded from the busy streets of New York. Our menu for the evening is a mix of seafood, meats, and cheese. We ask that Lamano’s chef select a few of his favorite tapas for us. In the meantime, general manager, Diego Nuñez, a native of Galicia, Spain, talks passionately about the restaurant’s food and drink options – his own appreciation for sharing about Spanish culture really shining through. Our first dish is a Spanish tapa tradition: patatas bravas (crispy potatoes with spicy salsa brava), and Diego next brings out Pulpo a Feira (poached octopus with potatoes in olive oil and pimenton) followed by foie gras with wild berries and boquerones (white anchovies in picual olive oil with pickled piparra). To quench our thirst, we order signature cocktails that are said to pair nicely with the various tapas. My favorite is the El Betis – white vermouth, cucumber juice, and pepper. The other drink is a Sherry Cobbler (Amontadllio sherry, pineapple syrup, lemon, orange, and cherry). As we’re still nibbling, the next group of tapas arrives: gambas al ajillo (red shrimp with garlic and quindilla peppers), chistorra a la sidra (basque-spiced sausage with apple cider), croquetas de jamon (a personal favorite of serrano ham croquetas with cheese), higos con jamon (jamon serrano with figs; deliciously spiced), and a tortilla (free range eggs, potato confit, caramelized onions and truffle oil). We’re filling up quickly (surprising as tapas don’t always fill you up), as Diego brings out a final surprise and treat. He’s holding a hand-selected Lamano specialty: the Tinto & Blanco Lustau, a delicious sherry paired with an orange peel and rich botanical accents. If you’re looking for authentic tapas, refreshing drinks, and a cozy vibe, get a table at Lamano. You won’t be disappointed. You’d like this spot, too! I especially liked that it was pretty quiet despite being in a busy neighborhood!